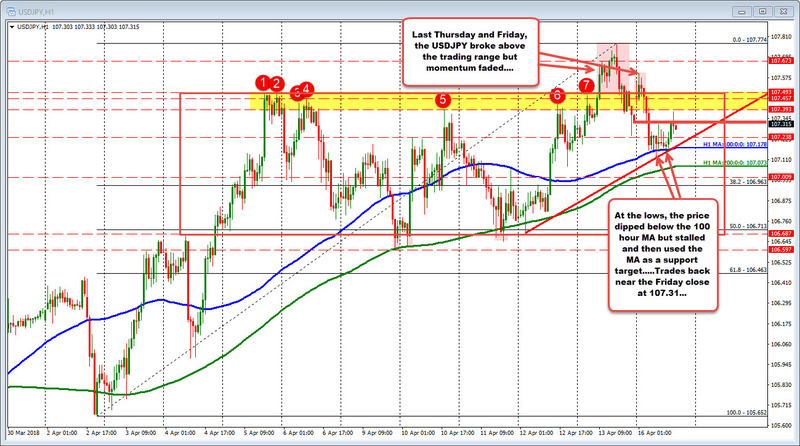 The USDJPY is trading near unchanged levels at 107.31 in what has been an up and down session. The low today did find support buying near the 100 hour MA (blue line). The price dipped below the MA line but momentum stalled. Traders then started to use the level as support again. On the topside, the 107.39-49 is home to a number of swing level. On Friday, that area was broken, extending the range and breaking higher. However, the break lost momentum and rotated back into the meat of the trading range. Today that area was also broken in the Asian opening but failed again. A move above that area (above 107.49) would be more bullish. On the downside, the 100 hour MA is the obvious target to get below for the bears. 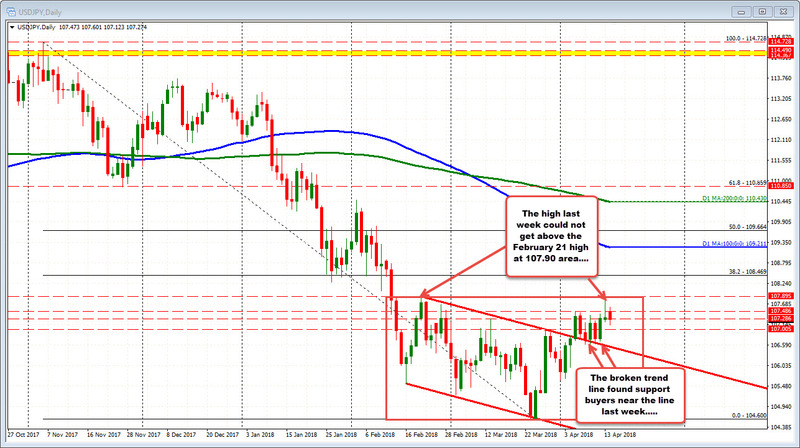 Looking at the daily chart, the USDJPY moved above a topside trend line, and stayed above, but the price could not extend above the February 21 high at 107.90 area. For this week, if the price moves below the broken trend line, that would spell more trouble for the bulls looking for more of a rotation higher (this week). That broken trend line comes in at 106.58.